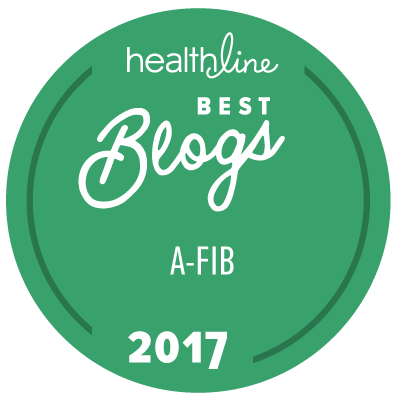 Your doctor will generally choose medication as your first course of action in managing your atrial fibrillation, often with rate control medication to slow the heart rate. If rate control doesn't work, then a rhythm control medication may be used to try to restore your heart's normal sinus rhythm. Rhythm control medication is also called drug cardioversion or chemical cardioversion. Rhythm control drugs can be risky due to serious side effects and the necessity for heart monitoring when starting some of them. With some, it can take a year or more to get a continuous normal sinus rhythm. Your doctor will decide which rhythm control drug is best for you based on the type of atrial fibrillation you have and your medical history, including the presence or absence of other existing heart disease. Some typical drugs that are used for rhythm control are flecainide (Tambocor®), propafenone (Rythmol®), quinidine (Various), sotalol (Betapace®), amiodarone (Cordarone®, Pacerone®),1 and dronedarone (Multaq®). Amiodarone is considered the most effective of these medications in attaining and maintaining normal sinus rhythm, but is often the medication of last resort due to its lung toxicity and potential for long-term adverse effects.3 One patient who took amiodarone mentioned that it can make you to turn blue like a "Smurf." Now that's an undesirable attribute for a medication! The newest medication, dronedarone (Multaq®), is an amiodarone-derivative that lacks the iodine that makes amiodarone toxic. It is slightly less effective than amiodarone, but without many of the side effects of amiodarone. It also has some beta-blocking properties for rate control. For more information, see What Do We Know About Multaq® (dronedarone) for Atrial Fibrillation? Many patients have told us that rhythm control drugs just left them feeling badly and persistently tired. For most, these medications worked at first, and in some cases controlled their afib for years, but eventually stopped working. When medication proves unsuccessful, catheter ablation or surgical ablation may be considered. For more information about these procedures, see Can Afib Be Cured?. In addition to deciding whether the patient should be on rate control or rhythm control medication, the doctor must decide whether the patient should be on anticoagulant medication. 1 "Antiarrhythmic Drugs", American Heart Association, Copyright, 2006. 2 "Treating Atrial Rhythm Disturbances", American Heart Association, Copyright, 2006. 3 Russo, Andrea M., MD, "Overview of the Contemporary Evaluation and Management of Patients with Atrial Fibrillation: What Every General Practitioner Should Know", American Heart Association, Copyright, 2006. 4 Wyse, D. George, M.D., "Rate Versus Rhythm Control in the Management of Atrial Fibrillation", American Heart Association, Copyright, 2006.